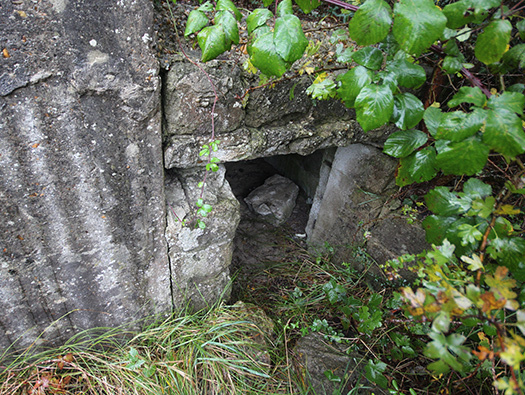 StP Trig.Punkt (Merlimont Batterie or Merlimont-Riegel), Pas-De-Calais. KVA D1. A batterie of four 15.5cm s.F.H.414 starting to be placed in casemates. 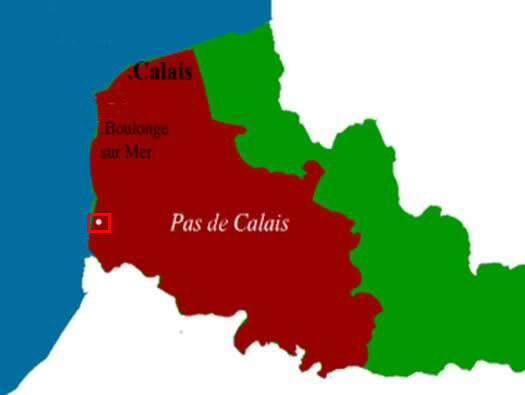 Set back from the coast covering the beach defences. Ammunition came in two parts, case and shell. 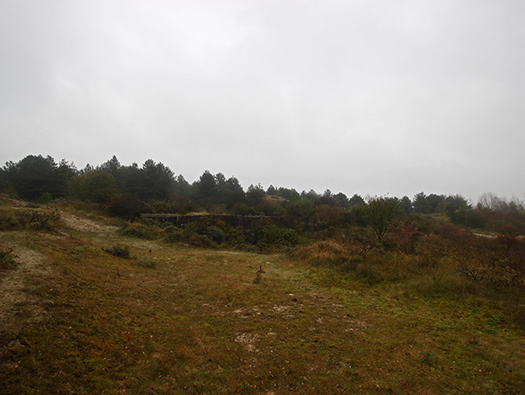 It could be towed by a team of eight horses if a two-wheeled limber was placed under the trail and the barrel pulled back along the trail to move the centre of gravity towards the limber. 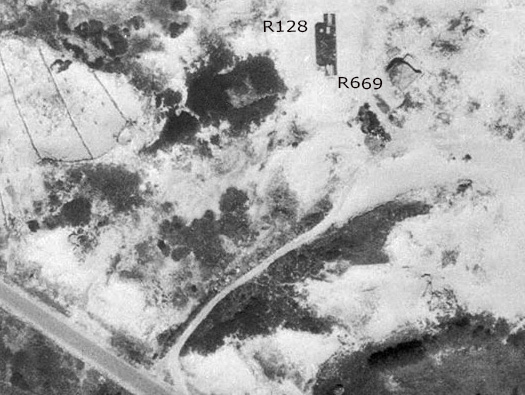 1 x R128 early type twin group bunker. 1 x 2cm Flak 30. 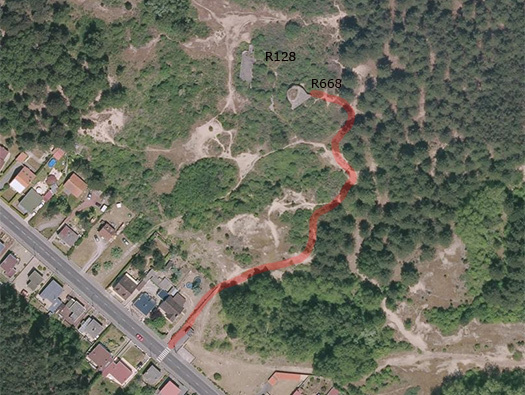 The StP is between these houses and there is a tar-macadam track all the way up. This is all that can be seen in1946 with one R669 with possibly another marked by an ? 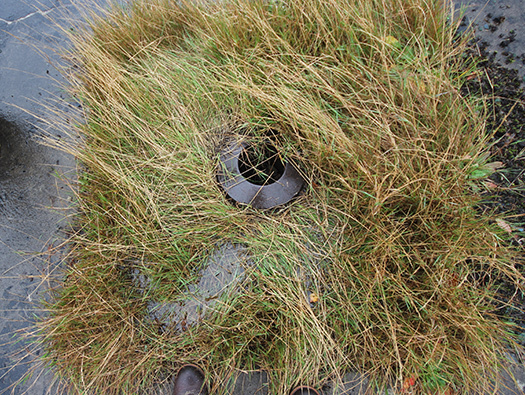 so I am not sure if it may have been blown up or its overgrown, we did not see it. 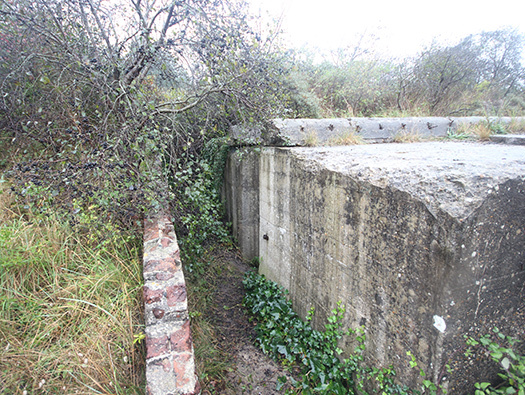 Also we completely missed the R128 twin group bunker a rare west wall type of bunker. Typical!! 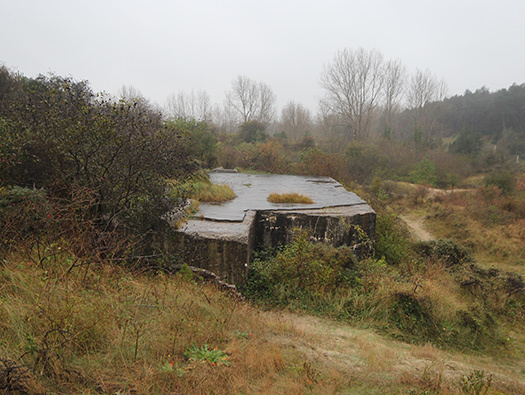 1 x R128 twin group bunker with forward apron. The path into the dunes. The sand dunes before the war were open clear sand and since the war trees have been planted and grasses to stabilize the sand. Also all the houses along this part of Rue Camille Delacroix are nearly all post war. You are going to see this red coat a lot here. 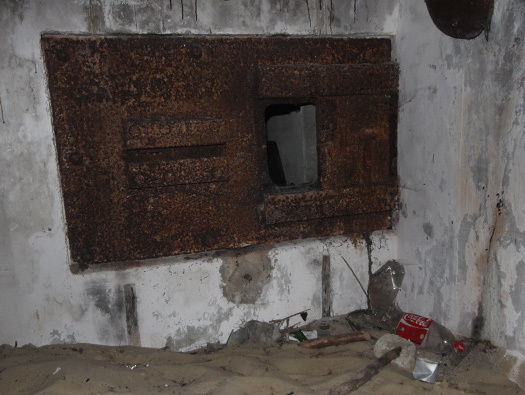 The battery at Stella Plage and this one would have given cross fire onto the beach. How a set of rear doors would have looked if they had been fitted. 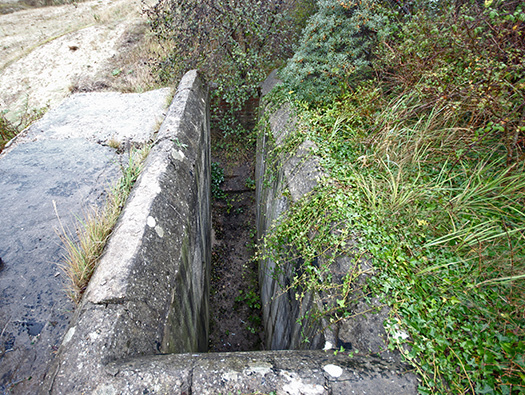 This bunker has two quite small niches either side. 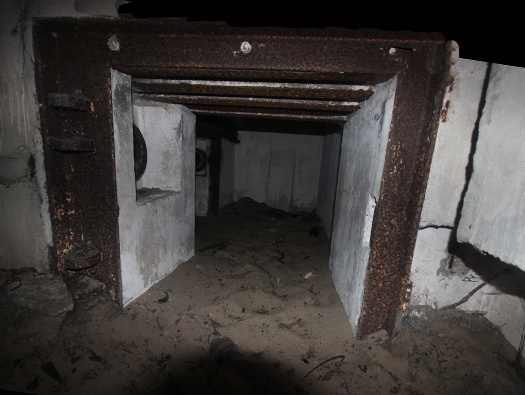 This side may have had the extraction fan sucking foul air out of the bunker when it fires. 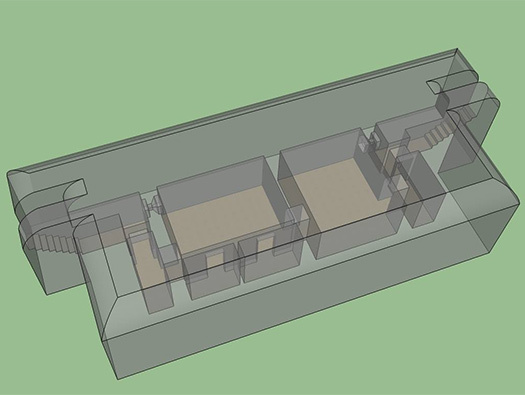 Plan of the foul air extraction. Pipes for the extractor fan to remove foul gases from the gun room. The square holes in the door frame were to set in the door frame and then a set of steel doors to close it off. They were either never fitted or were taken for scrap. 494P2 are the type of doors that may have been used? This looks as though there were doors on the front. 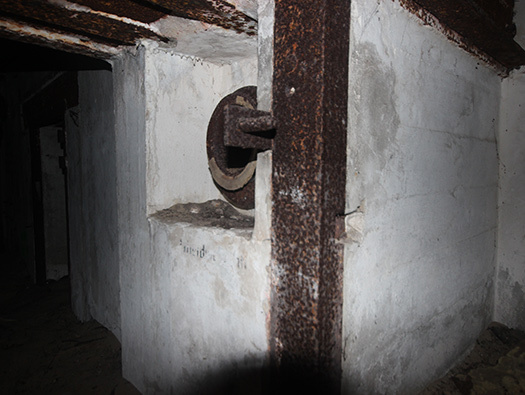 A set of front doors on a casemate. 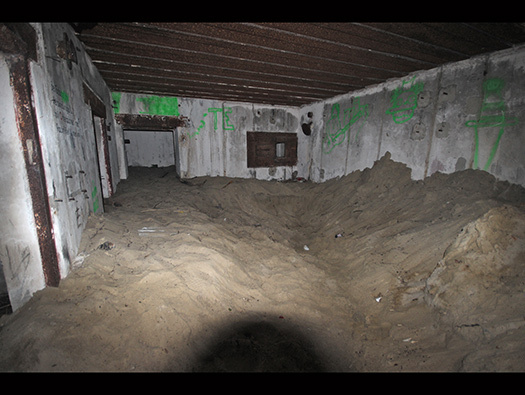 On the side of the bunker is a small crew room. 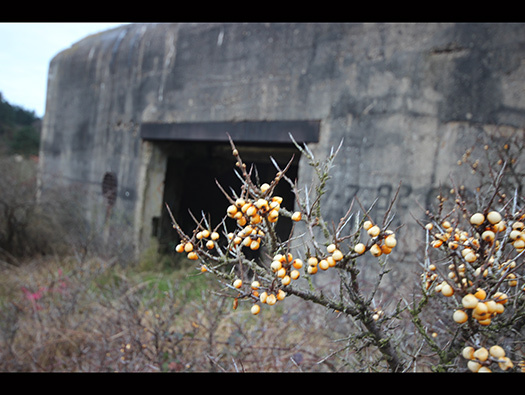 It is quite a large bunker with reinforced roof and quite thick walls. Officer at a plotting table. This looks as though there was a cabinet screwed to the wall? The entrance can just be seen on its left side. 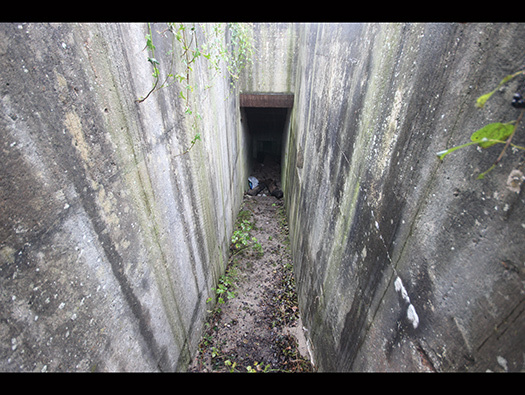 The blast wall on the left side and entrance on the right.. 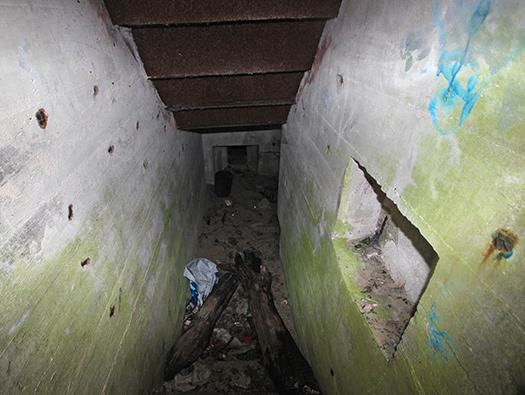 The entrance into the bunker. 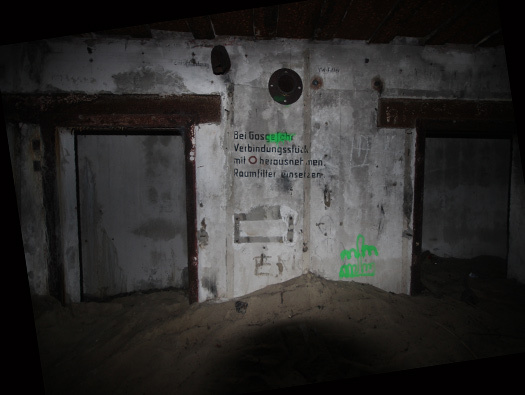 By the entrance is a voice pipe to communicate with the inside of the bunker. 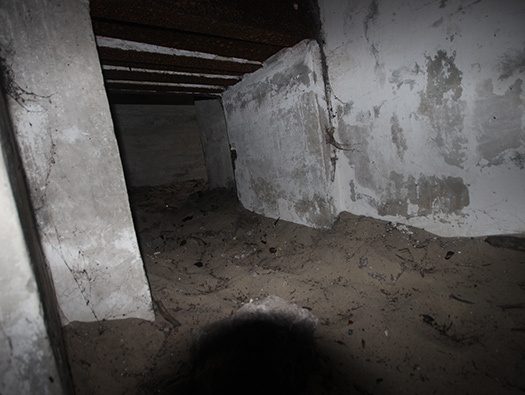 Continuing into the bunker with a long passage. Hinge for a 491P2 Gittertür (Screen Door). 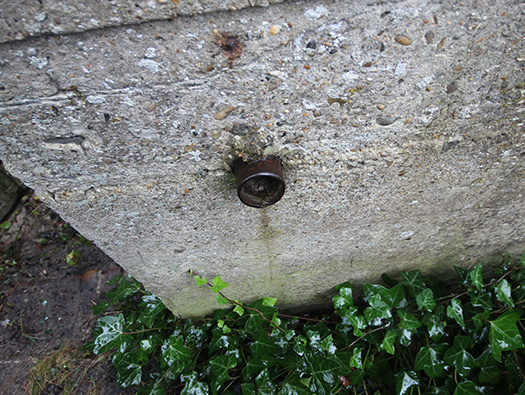 On the right a niche for a telephone to talk to the inside of the bunker. 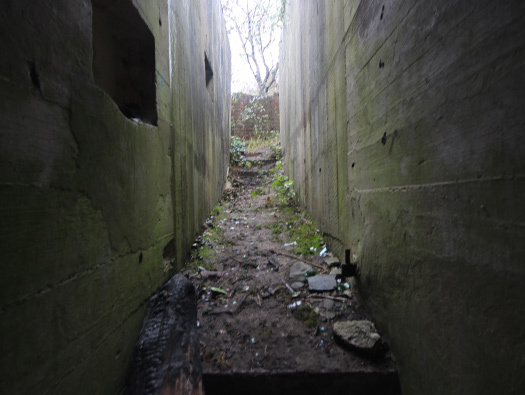 The niche in the far end was a close combat embrasure covering the entrance. 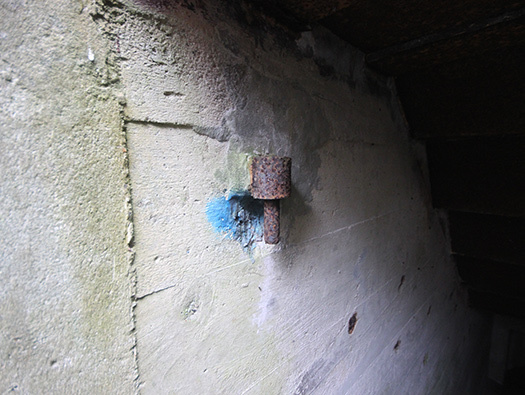 The other side of the Close Combat Embrasure a very interesting type, it has two slots, one a commanders viewing slit and the second the embrasure to shoot through. Entrance which may have had a 434P01 door. This would only have been the top half as the sand is very deep here. You can see the two hinges for the top door. 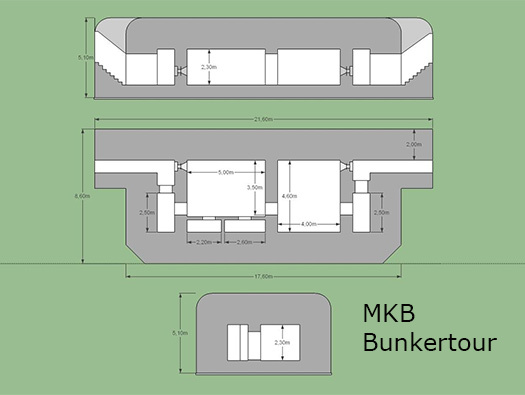 Crew room with the close combat defence embrasure..
MKB Bunkertour plan of the R128 bunker.. The crew room looking at the anti-gas pump fitted on the wall . The way out, the same way we came in as the other side is blocked up. Note the hinge on the right for the 491P2 Gittertür (Screen Door)..
On the roof is a fitting for a periscope. Using a periscope in a bunker.